Update: Saturday Program's classes for the second-semester start Saturday, January 26th (for enrolled students). For new students interested in applying, applications are still being accepted. Download one here. 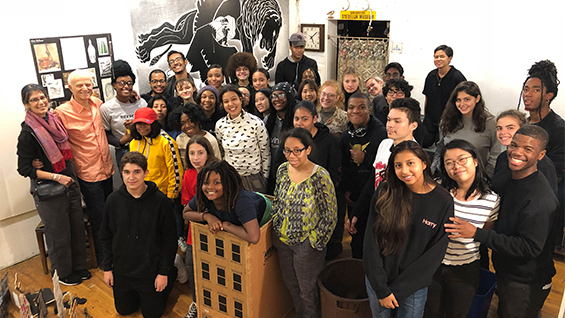 The Saturday Program offers seven free studio art courses enrolling over 200 New York City Public High School students. 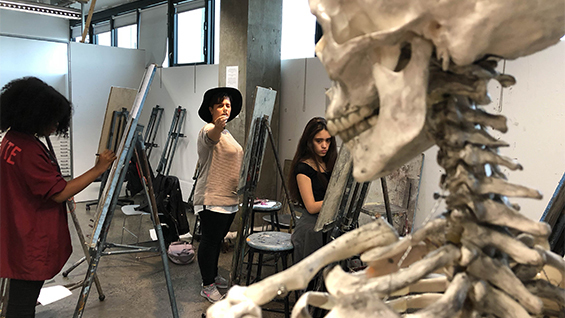 Most classes meet from 10:00 AM to 5:00 PM on Saturdays for two semesters, October through April. 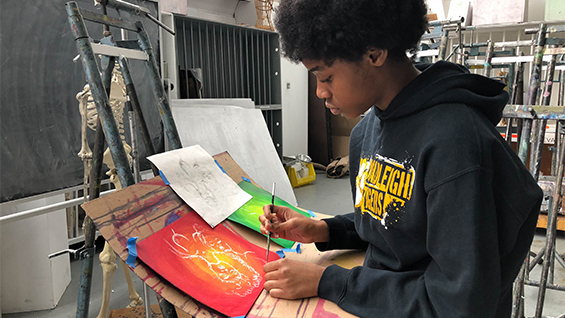 This schedule provides the intensive working time necessary to explore media, technique, and concept for both the beginner and the student with art experience. To encourage access for all students materials are provided at no charge. Students do not need prior experience, only motivation and a written application required. Those who have attended the Saturday Program must re-apply each year. Admissions guaranteed as space permits. 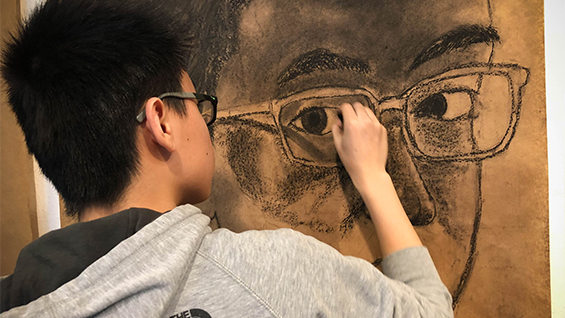 For High School Seniors our two-semester Portfolio Preparation class provides support to successfully compete for admissions to art and architecture colleges (held from 9:00 AM to 5:00 AM) This intensive studio course includes individual advisement and studio visits with professional artists. 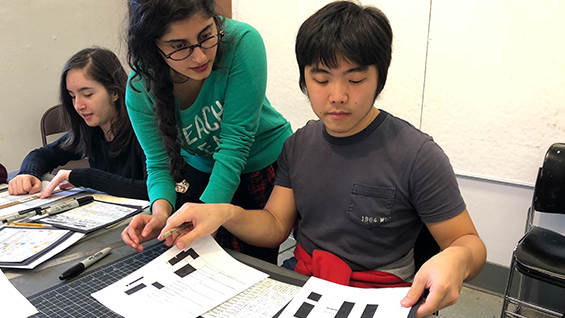 Applicants to the Portfolio class must attend an informal work review on the first Saturday in October. Please see the flyer for details. 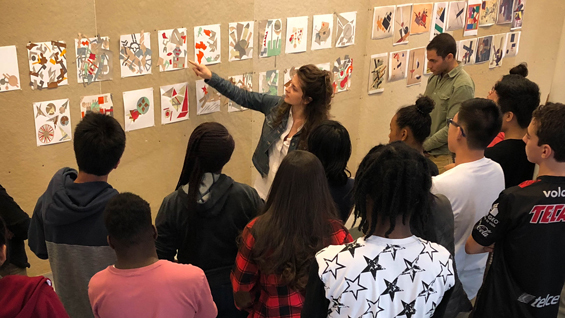 All Saturday Program classes take field trips to museums, galleries, and artists’ studios. Creative writing workshops are integrated into the visual arts curriculum. Each year the program culminates in April with an Exhibition and Spoken Word Performance (to which you are cordially invited). For more information please call the Saturday Program Office at (212) 353-4108 or email satpro@cooper.edu.